На основе концепции аэроплана J 1 (металлический моноплан с работающей обшивкой) Хуго Юнкерс в 1918 году приступил к проектированию гражданского транспортного самолета. Прототип выполнил первый полет 25 января 1919 года. Серийный вариант J ДальшеMore>>> 13 под обозначением F 13 вошел в число самолетов, оказавших наибольшее влияние на развитие авиации. На первых F 13 стояли моторы Mercedes или BMW III/IIIa, но по мере усиления планера на самолет стали ставить все более мощные моторы, такие как звездообразные Junkers L2, Pratt & Whitney Wasp и Hornet. Известно порядка 60-70 подвариантов самолета F 13, отличавшихся конструкцией фюзеляжа, крыла, оперения и кабины. 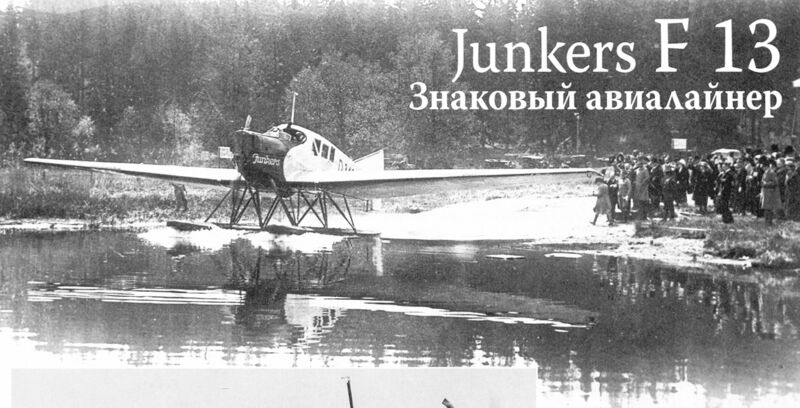 Около 60 машин F 13 эксплуатировалось в компании "Junkers-Luftverkehr", образованной в 1921 году. В том же 1921 году была образована компания "Deutsche Lufthansa", которой отошла большая часть парка "Junkers-Luftverkehr". До 1938 года "Deutsche Lufthansa" эксплуатировала на внутренних грузовых и пассажирских линиях 45 самолетов F 13. Junkers F 13 закупили почти все ведущие европейские авиакомпании, кроме того, самолет эксплуатировался в Афганистане и Колумбии. В Персии летало несколько самолетов с пулеметами, установленными в верхней части салона. Очень успешно F 13 использовали в Южной Америке, где металлическая конструкция планера оказалась очень удачной в силу непростых природно-климатических условий. Восемь машин Junkers-Larsen JL 6, адаптированных под выпуск на предприятии "John М. Larsen Corporation", поставили в США, где их использовала почтовая служба на линиях Нью-Йорк - Чикаго - Омаха и Нью-Йорк - Сан-Франциско, однако ни одного самолета непосредственно в Штатах не собрали. Пять машин F 13 построили в СССР, две в 1931 году - в Венеции на заводе компании "Transadriatica" (один с мотором Fiat A.20 мощностью 410 л. с.). Всего построено 322 самолета F 13, серийное производство было прекращено в 1932 году. Самолет послужил базой для разработки целого семейства самолетов, конструктивно близких к начальному проекту 1919 года. Венцом развития стал Junkers Ju 52, выполнивший первый полет в одномоторном варианте 13 октября 1930 года. Но всемирную известность получил вариант Ju 52/3m "Tante Ju" ("Тетка Ю") с тремя моторами. В 1930-х годах Ju-52/3m разделил с Douglas DC-3 славу самого популярного пассажирского самолета. Ju 52/3m составили основу транспортной авиации созданных Люфтваффе. Силовая установка: один 6-цилиндровый мотор жидкостного охлаждения Junkers L5 мощностью 280 л. с. AN all-metal, armoured attack monoplane has just been built in America by the J.L. (John Larsen) Aircraft Corp., of New York. 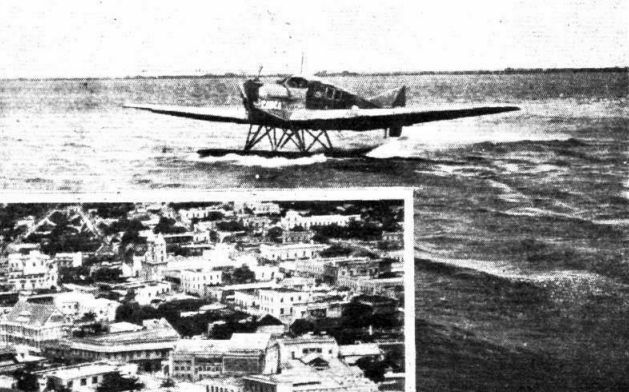 This machine is known as the "J.L.-12," and, as will be seen from the accompanying illustration, bears a strong resemblance to the Junker all-metal monoplane. It is reported that a "J.L.-12" made a remarkable flight on October 21 last, when, piloted by Capt. B. H. Pearson, it left the J.L. 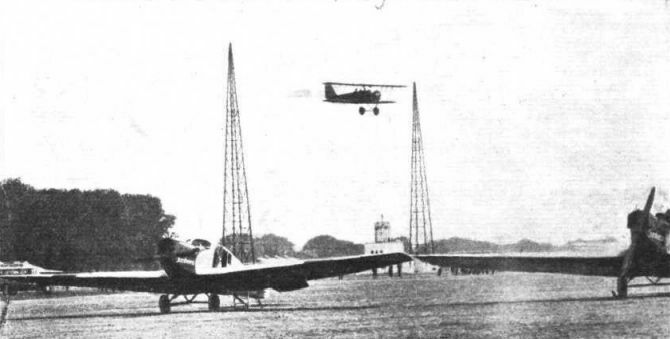 aerodrome at Central Park, Long Island, at 9.15 a.m., and flying against a 60 m.p.h. headwind at 2,500 ft., arrived at Washington at 11.45 a.m., thus covering the distance of about 200 miles in 2 1/2 hours, or at a speed of 80 m.p.h. The principal feature of the "J.L.-12" consists of its armament of 30 Thompson machine guns. These are arranged in a main battery of 28 guns in two sections. The first section is of 12 guns, located directly behind the pilot's seat, and the second, of 16 guns, is mounted at the rear. Firing is operated by three levers, one firing the 12-battery, the other firing the 16-battery, whilst the third lever puts all 28 guns into action. The two remaining guns are operated independently by the pilot, or gunner, from the cockpit. The main battery is located in the floor of the fuselage, the first section of 12 being set at a slight forward angle, and six of the second section fire directly downwards, the remainder being trained slightly aft. The circular drums for the guns contain 100 cartridges, and the ammunition equipment for the machine in battle trim consists of three drums for each of the thirty guns. The replacement of fresh magazines for all the guns requires only four minutes. It is claimed that by operating the ailerons so as to rock the machine laterally, an effective side rake fire is obtained. The proposed functions of the "J.L.-12" are to provide a machine having high speed, quick climb and controllability, which can be used against infantry, convoys, etc. 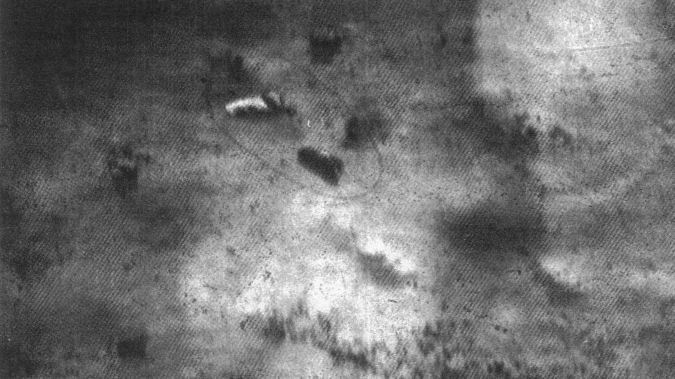 It will dive down on the enemy, and flying low over him, open fire and then climb rapidly to a safer altitude in order to give the gunner an opportunity to renew the magazines before another similar attack. As regards the construction of the machine, this is, we believe, a modification of the Junker, already described in FLIGHT. American-made aluminium alloy is employed in its construction, the metal sheets being 25/1000 of an inch thick. 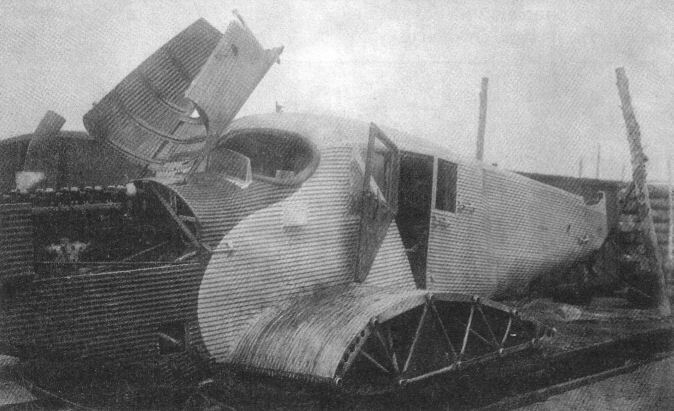 The armour, presumably on the lower portion of the fuselage, is 9/64 in. 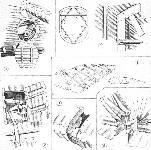 armour-plate. The machine is braced throughout with steel. Weight (fully loaded) 5,000 lbs. Weight of armour, armament and magazines 3,848 lbs. Weight of fuel (5 hrs.) 800 lbs. Weight of pilot and gunner 352 lbs. Climb 1,000 ft./45 s., 10,000 ft./11 mins. Range of action 400 miles. In discussing the machine Mr. Larsen stated that "It has been put through the most severe tests already, and the flying and the battery performance have been perfect. "One marked feature of the machine is its climbing ability. During a recent test it climbed the first 1,000 feet in forty-five seconds, and rose to 10,000 feet in less than twelve minutes. It is as fast as a scout 'plane, and has high qualities of manoeuvring at speed." It was a similar but smaller machine to the J.L.-12 - the J-L.-6 - that created an endurance record (26 hrs. 19 mins. 35 secs.) recently. IN our issue of last week we published a brief resume of the paper on "Metal Aeroplanes" read before the Royal Aeronautical Society by Mr. Stern on behalf of Professor Junkers, who was prevented by illness from being present. 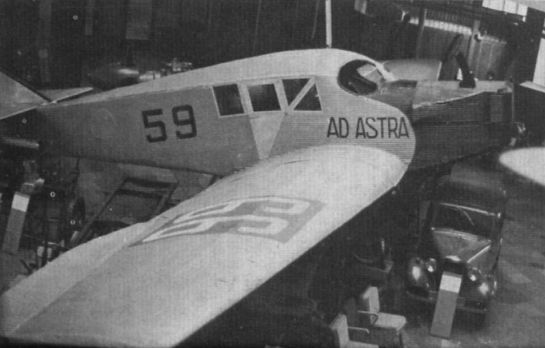 At the conclusion of the lecture it was announced that permission had been obtained for one of the Junkers machines to fly to this country in order to give members of the R.Ae. Soc. An opportunity of examining Professor Junkers' method of metal construction. The machine arrived on Thursday of last week (January 11), and by permission of the Junkers representatives (and greatly assisted by Mr. Stern, of the Air Ministry Laboratory, South Kensington, who acted as interpreter), our representatives were allowed to examine the machine in detail for the purpose of compiling the following notes, and in order to obtain the accompanying sketches and photographs. The particular machine which visited Croydon was one taken from the regular service. So far as could be ascertained it was built in 1921, but had not been in constant use all the time since, having, apparently, spent some of the time as one of many "confiscated" by the Inter-Allied Commission. Certainly the metal showed no signs whatever of corrosion externally, but as the length of time during which the machine has been in actual service is not known, this fact does not really enable one to form an opinion. We were informed by the pilot that one of these machines which had been in service in Sweden for over a year had been left out in the open habitually, had been in the sea (it was a seaplane), and generally had been very far from receiving careful treatment, yet the metal nowhere appeared to have suffered from corrosion, in spite of the fact that it was built of Duralumin throughout. The exact treatment of the metal is not known, but it appears that some form of aluminium paint is coated on all the parts before they are assembled, and the whole structure then given one or two coats of varnish. In type the Junkers monoplane which visited Croydon is not new, a considerable number having been in use in Germany, while others were purchased for America by Mr. John Larsen, and were used in that country for various purposes. We have always understood that the experience with these machines was not a very happy one, but we were informed by the Junkers representatives that the original makers had nothing to do with the machines after they left the Dessau works, and that alterations were made to them, so that the Junkers firm feel that they should not be blamed for anything that went wrong. They stated that of the machines used in Germany, under the supervision of the original makers, not a single one gave any trouble. Fundamentally the Junkers monoplane is a cantilever wing machine, with the wing placed low on the fuselage ("tiefdecker" is the German name) in the place usually occupied by the lower plane of a biplane. The reasons for this arrangement were outlined in Professor Junkers' paper, the wing roots, fuselage, etc., forming one solid unit to which all the heavy loads and the wings themselves are attached. 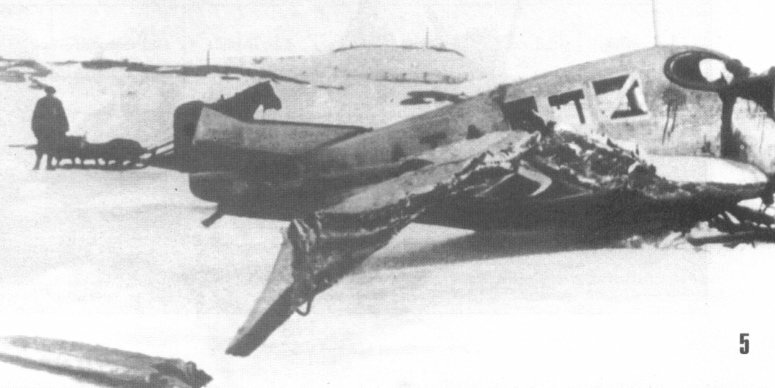 Aerodynamically this arrangement has been found to be slightly inferior to the more usual arrangement in which the wing is placed above or on the top of the fuselage, but Professor Junkers considers that the slight loss is more than made up for by the rigid structure resulting from the low position. During the War a few all-metal Junkers machines were captured, and one or two were, at one time, on view at the exhibition of enemy aircraft at the Agricultural Hall, Islington. The armoured biplane was briefly described and illustrated in FLIGHT of November 28, 1918. The monoplane, the Junkers D.I, was described and illustrated in our issues of April 1 and April 8, 1920, while a commercial machine, very similar to the present specimen, was illustrated in FLIGHT of October 30, 1919. 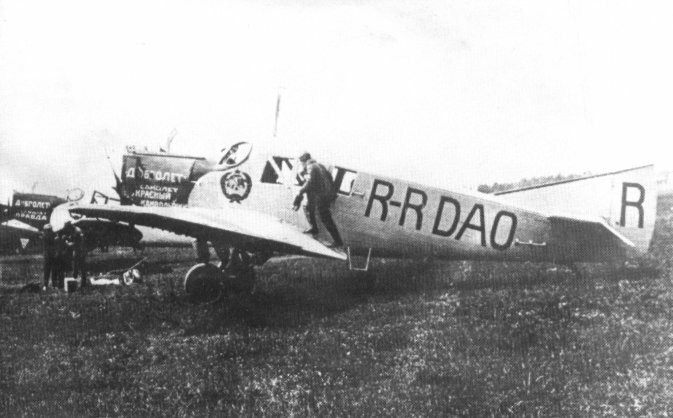 The latter machine was the one which reached an altitude of 6,750 metres with eight people on board, as mentioned in Professor Junkers' lecture. The engine used on that occasion was one of the 185 h.p. B.M.W. overdimensioned, high-compression engines, which maintain their power up to a height of about 15,000 ft. The machine at present under review is fitted with one of the low-compression B.M.W. engines, as the high-compression type was not permitted by the Inter-Allied Commission. But few particulars of the Junkers monoplane are available, but following are a few which are thought to be approximately correct :- Span,. 17-1 metres (56 ft. 1 in. ); wing area, approximately 350 sq. ft.; weight of machine empty, but with cooling water, 1,155 kg. (2,540 lb. ); useful load, 645 kg. (1,200 lb. ); maximum permissible total weight, 1,800 kg. (3,635 lb. ); power loading (180 h.p.) 20-2 lbs./h.p. ; wing loading 10-7 lb./sq. ft.; maximum speed, about 160 km. (100 miles) per hour; cruising speed, 140 km. (87 m.p.h. ); landing speed, 80 km. (50 m.p.h. ); duration, 8 hours at cruising speed, corresponding to a range of about 700 miles. Herr Patze, one of the directors of the Junkers air lines, visited this country in order to try to arrange with the Daimler and Instone lines for an extension of their services into Germany, Junkers machines picking up the passengers and goods at Amsterdam and Cologne. Owing to the French occupation of the Ruhr the arrangements have had to be postponed, but it is to be hoped that later on the suggested connection will come into being. Junkers Flugzeugwerk A. G., Dessau, exhibited three different types, one of which was the "Annelise" or "F" model, which is already well known to readers of FLIGHT, an illustrated description having appeared in P'LIGHT of January 18, 1923, when the machine paid a visit to Croydon aerodrome in connection with Professor Junkers' paper before the Royal Aeronautical Society. The cabin has seating accommodation for four passengers. The type F, like all other Junkers machines, is built entirely of metal, practically all Duralumin. The main characteristics of the machine are as follows: Engine, 185 h.p. B.M.W. ; length o.a., 9.6 m. (31 ft. 6 ins. ); span, 17.8 m. (58 ft. 5 ins. ); height, 3.3 m. (10 ft. 10 ins. ); useful load, 650 kg. (1,430 lbs. ); speed, 165 km. (102 m.p.h.). The machine can also be supplied as a seaplane, fitted with twin floats, or with skis for use on snow. In that case the overall dimensions are slightly altered, and, in the case of the seaplane, the useful load reduced to 550 kg. (1,210 lbs.). THE Junkers F.13, though in the luxury class as a private owner's machine, has already found one owner in this country, as the Hon. F. E. Guest, the chairman of N.F.S., maintains one for his own use. Junkers machines are really too well known to need much description and, structurally, the F.13 is just the same as the Junkers Junior, which has already been described. The same all-metal cantilever principles are adhered to and also all the other Junkers details which have gone so far in building up this form of machine. 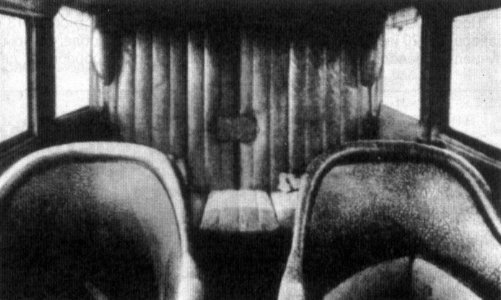 The F.13 is a cabin machine with ample accommodation for four passengers, and in front of the cabin is the pilot's cockpit, with two seats side by side and with dual controls fitted. 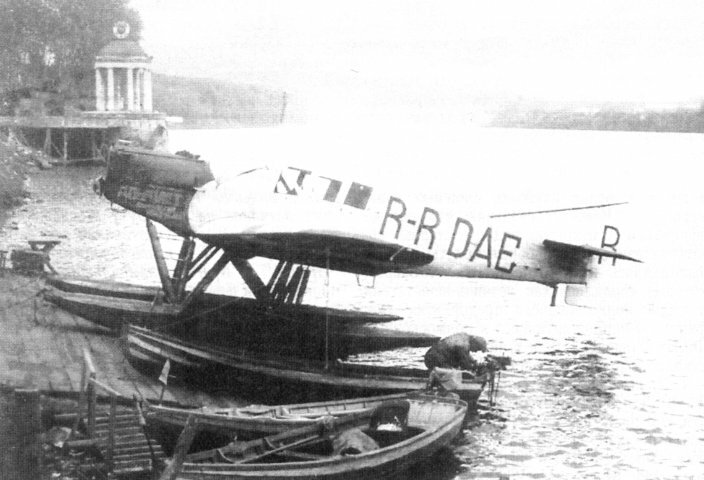 A similar version to this machine, but with the cabin stripped, is used for freight, and it was in a machine of this type which Herr Kohl, Baron von Hunefeld and Major Fitzmaurice flew from Dublin to Labrador in April, 1928. 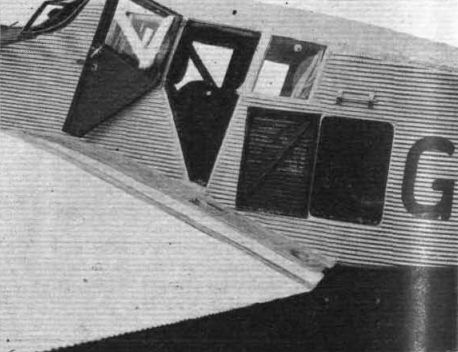 The pilot's cockpit is not enclosed, but so carefully has the design of the nose of the machine been carried out that there is no draught at all, and one has the added advantage of being able to dispense with windows, which might possibly become fogged in bad weather. 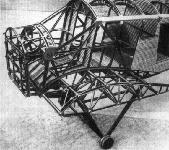 The passengers' cockpit is extremely comfortable, and this, added to the inherent advantages of the low wing type of machine, make the F. 13 certainly one of the most comfortable machines we have ever flown in. Large luggage accommodation is arranged behind the cabin in a compartment which has its own door on the side of the fuselage. The engines fitted are either the Junkers 280-310 h.p. L5 water-cooled or the Jupiter 425 h.p. air-cooled radial. The former is an exceptionally quiet running engine, and when travelling in this machine so fitted there is no difficulty experienced in conversation between the passengers. Trost Bros., of Victoria Street, London, are the agents for these machines over here, and they keep one or two at Croydon for taxi work, where they have been doing quite a lot of work during the last year. The general equipment of the Junkers is very thorough indeed, and many extra instruments are fitted as standard. There is a centralised fire-extinguisher system which has nozzles directed to vital parts of the machines, so that a fire can be extinguished immediately. F 13. 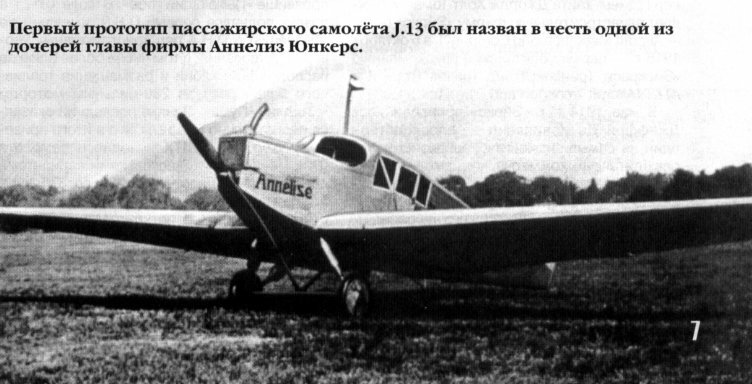 Изображен F 13 в окраске германского авиаперевозчика "Deutsche Luft Hansa", основанного в 1926 году. Большинство из первых 46 самолетов F 13 компании ранее эксплуатировались "Junkers-Luftverkehr", основанной в 1921 году и вошедшей в "Deutsche Luft Hansa". F 13 эксплуатировался в компании DLH до 1938 года, когда уцелевшие машины передали в Люфтваффе для использования в качестве учебных. Самолет-участник перелета Москва-Пекин: "Юнкерс" Ju 13 И.К.Полякова и И.В.Михеева, потерпевший аварию в Миао-Тане. 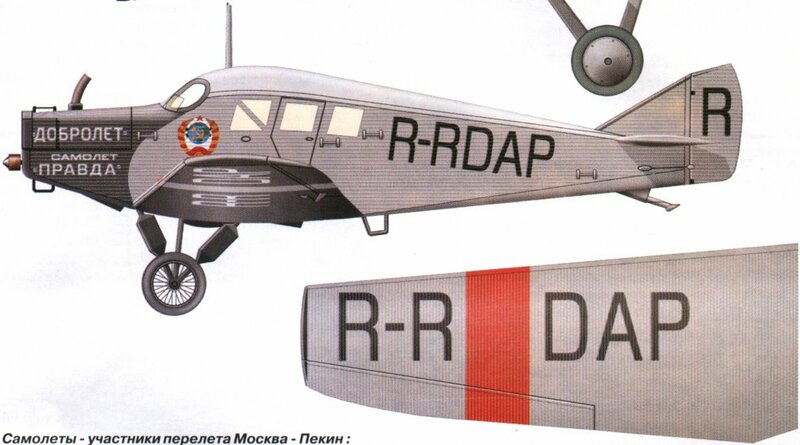 Junkers F-13 R-RECA Albatros ("Альбатрос"). Новороссийск, 7 июня 1923г. 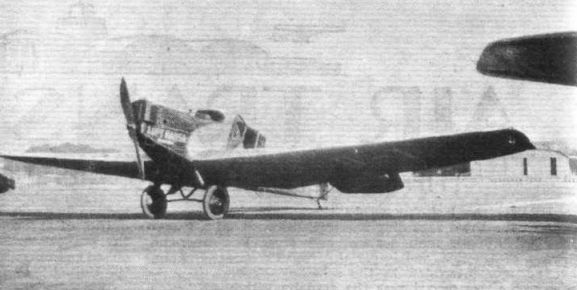 Junkers F-13 R-RECD Lerche ("Жаворонок"). Новороссийск, 5 июня 1923г. Пассажирский "Юнкерс" Ю-13 Среднеазиатского отделения общества "Добролет"
Среди военных эксплуатантов F 13 были ВВС Швеции, где самолет обозначался Tp 1. Изображен санитарный вариант начала 1930-х годов, в Швеции F 13 летали с 1928 года по 1943 год. "Юнкерс" F.13 был первым в мире специализированным крупносерийным цельнометаллическим пассажирским самолетом. Первый прототип пассажирского самолета J.13 был назван в честь одной из дочерей главы фирмы Аннелиз Юнкерс. Самолет Ататюрка "Annelise", октябрь 1919г. AN ALL-METAL "CHARLEY'S AUNT": Our picture shows the first Junkers all-metal monoplane, "D-1," placed on service by Luft Hansa in 1919 - and still, apparently, going strong, as the photograph was taken during a recent visit to Tempelhof aerodrome. В первые дни существования "Luft Hansa" самолеты F 13 составлял основу парка компании наряду с такими классическими машинами, как G 24, W 33/34 и Ju 52/3m. F 13 эксплуатировались в "Lufthansa" до 1938 года, последний из них летал на линии Бреслау-Хиршберг. Второй прототип J.13 получил имя "Герта" в честь первой дочери основателя фирмы. THE JUNKERS MONOPLANE: Three-quarter rear view. 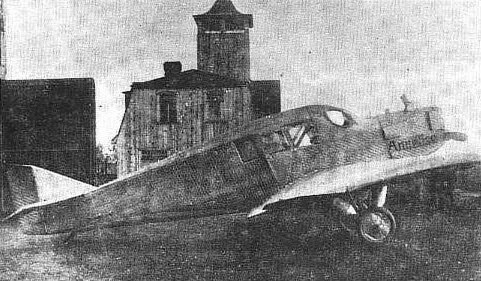 THE JUNKERS MONOPLANE: Three-quarter front view. 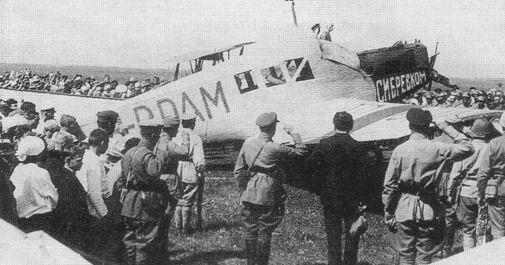 "PEACEFUL PENETRATION": One of the latest Junkers type F.13 monoplanes has been registered in this country, and is now on a tour. Of the same general type as the famous "Bremen," this machine has a Junkers L.5 engine and seating accommodation for four passengers. It is intended for use by the wealthier class of private owner, or for air taxi work. THE JUNKERS MONOPLANE: Side view. THE JUNKERS MONOPLANE: Rear view. This illustration gives a good idea of the large span of the machine. 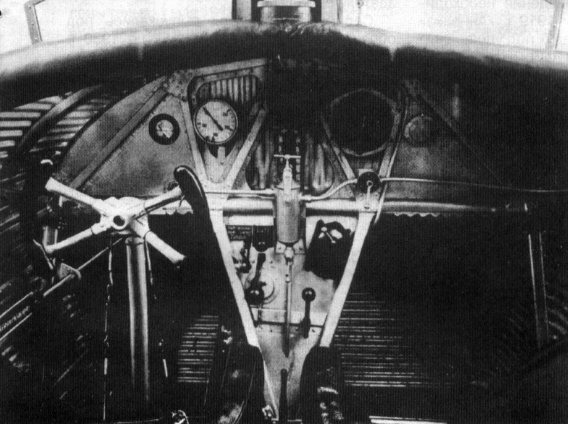 THE JUNKERS MONOPLANE: On the left, view of the engine housing and undercarriage. On the right a view of the tail. "Эх, прокачу!" - "Юнкерс" F.13 с "вспомогательной силовой установкой" мощностью в две лошадиные силы. Один из ранних "Юнкерс" F13 выпуска 1920г., но с доработанным трапециевидным килем, установленным в 1926г. 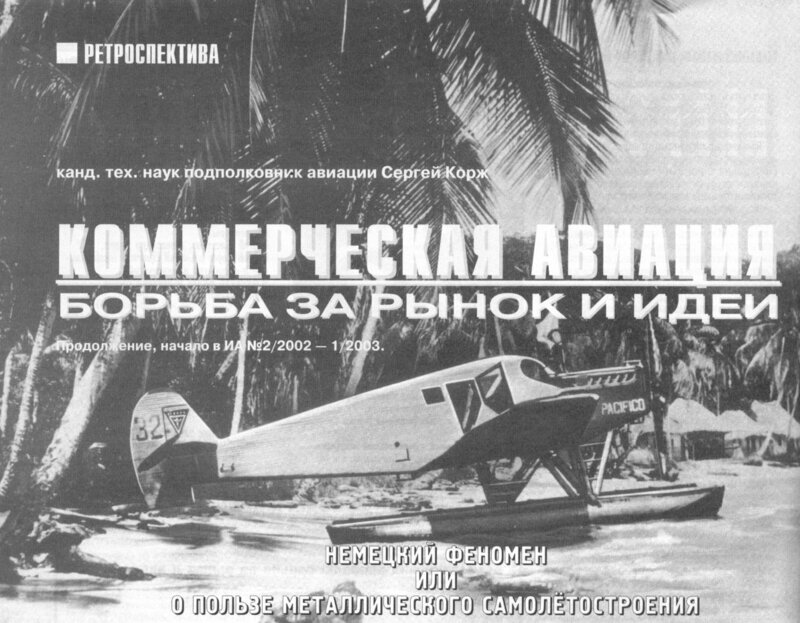 Загрузка газетами F.13 авиакомпании "Юнкерс-Люфтферкер" (рег. D-230), получивший собственное имя "Удод". Надо заметить, что ранние коммерческие машины "Юнкерс", эксплуатировавшиеся в Германии, имели "птичьи" имена. Это как раз тот самолет, который за хвост буксировали лошадиной упряжкой. 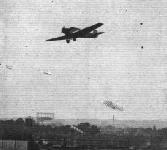 A Heinkel biplane coming in after a test flight. 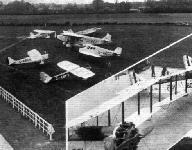 The machines in the foreground are Junkers commercial monoplanes. Зимой на этой машине сменили поплавки на лыжи. "Юнкерс" "Красный камвольщик" с опознавательными знаками R-RDAO. Далее виден самолет "Правда" с опознавательными знаками R-RDAP. Легендарный "Юнкерс" F.13 "Красный камвольщик" (рег. R-RDAO) на старте перелета Москва-Пекин. 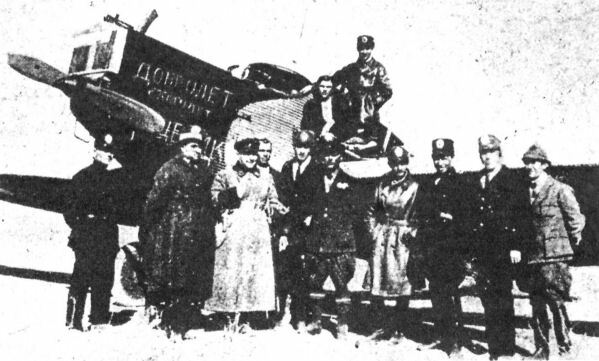 Soviet airline company Dobrolet sent Junkers F.13 R-RDAZ 'Pishchevik' to inaugurate the Tashkent-Kabul route in January 1928. Советский "Юнкерс" F.13 авиатранспортного предприятия "Добролет" (рег. R-RECI), открывший почтовую линию Москва-Харьков. Еще один британский "Юнкерс", предположительно F13ge выпуска 1929г., с закрытой кабиной экипажа, но с остеклением несколько иной формы. 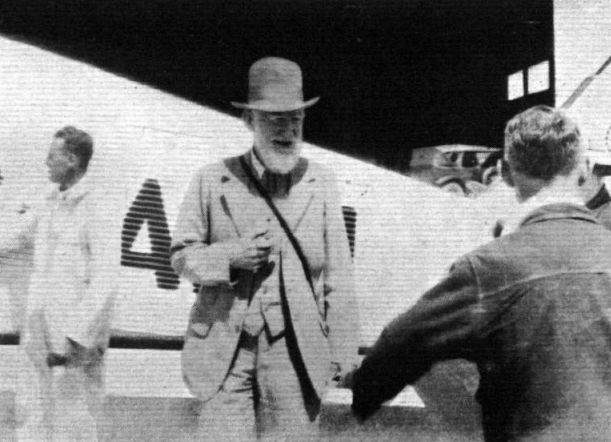 Major M. S. Marsden with his pilot, Major J. N. C. Clarke, and ground engineer, Mr. F. G. Amer, of the Air Express Co., Croydon. They are running Junkers F.13's for what might be called "The Daimler Hire Service of the Air." Британский "Юнкерс" F13ke выпуска 1930г. с закрытой кабиной экипажа и двигателем "Юнкерс" L.5. GIVING GOOD SERVICE: This Junkers of Brooklands Airways is one of the hardest worked machines. It is always off abroad or on long journeys to the North. It is not surprising that people like travelling in it as it is one of the most quiet and comfortable cabin aircraft. F13 не нуждался в аэродромах с твердым покрытием, что весьма приветствовали эксплуатанты, использовавшие их в отдаленных регионах. На фотографии - самолет с лыжным шасси и канадской регистрацией. SCENES AT HESTON: Some of the commercial aircraft which were on view - ABGK, Lockheed "Vega"; ABLI, Spartan Mailplane; ABEF, Ford; ABDC, Junkers; ABDH and ABFV, "Puss Moths." SOME PERSONAL FLYING SERVICES PERSONALITIES: Our picture shows Maj. I. N. G. Clarke (Chief Pilot), Capt. A. J. Styran (Pilot), and F. A. MaCoiser (Chief Engineer) of Personal Flying Services, Ltd., standing in front of three types of machines used by this air taxi company. These are a Desoutter, a Sikorsky S. 39 Amphibian, and a Junkers F.13 L monoplane. 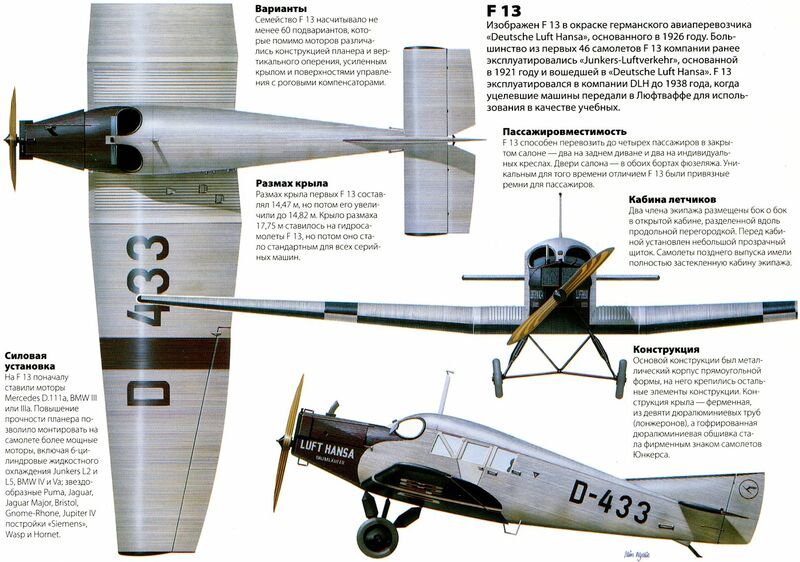 F 13 с килем позднего типа из австрийской компании OLAC ("Osterreichische Luftverkehrs АС"), основанной в 1923 году. 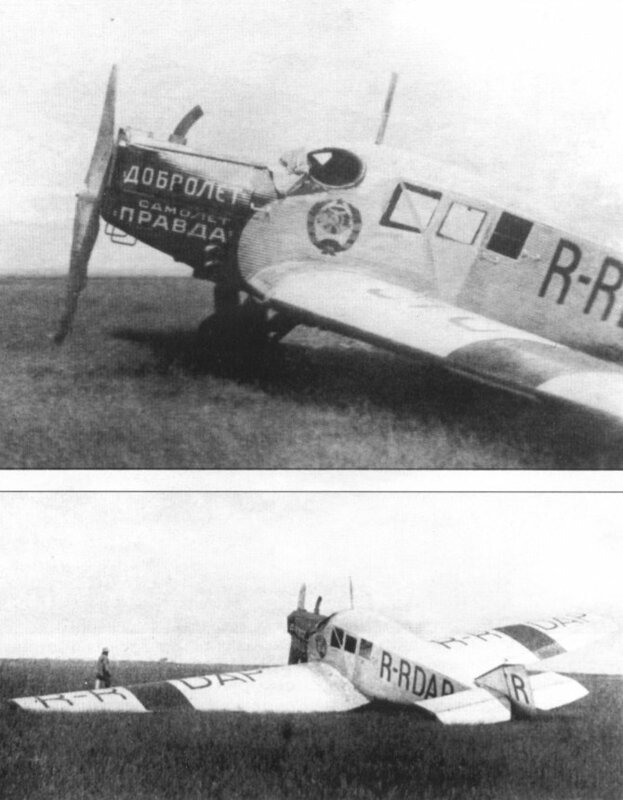 В 1938 году ее поглотила "Luft Hansa" в результате аншлюса Австрии Германией. За все время существования в компании OLAC не было аварий. THE STOCKHOLM-LONDON NIGHT AIR MAIL: As reported in a previous issue of "Flight," the Swedish Aerotransport Co. inaugurated a night air mail service between Stockholm and London, on June 18. Our illustration shows the Junkers F.13 machine which made the first trip, piloted by Liljeberg; it left Stockholm at 4 p.m., June 18, and arrived at Croydon at 14.45 p.m., June 19 (having been delayed two hours at Amsterdam owing to a broken speed indicator). On this flight 500 registered and 3,000 ordinary letters were carried. This well-preserved Junkers F.13 is stored outside the Technical Museum in Stockholm. 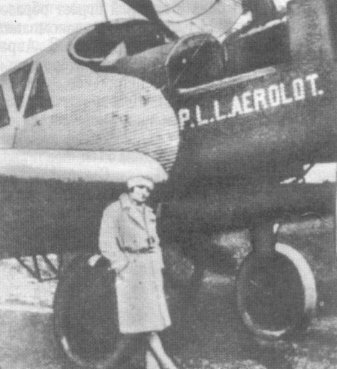 Air Transport in Portugal: A Junkers F.13 monoplane, "Lisboa," used on Servicos Aeros Portugueses. 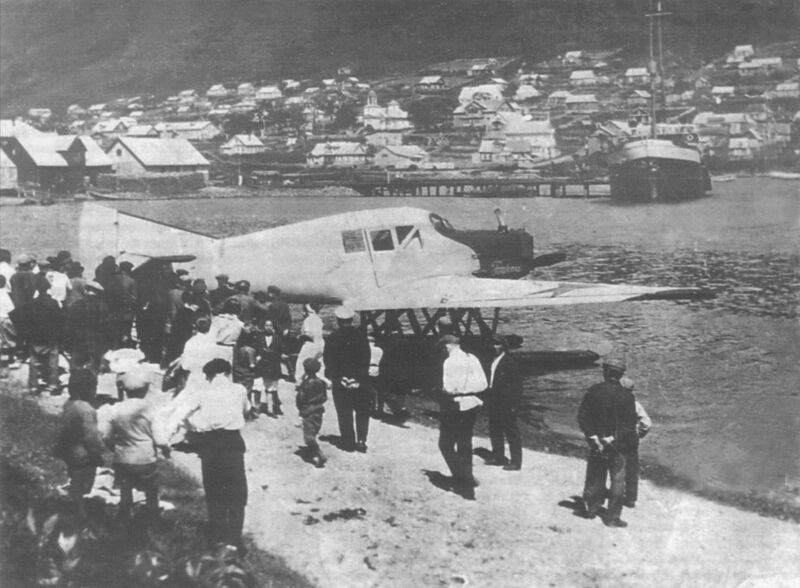 A widely used German type in the 1920-30s was the Junkers F.13, this example being I-BATB operated by Transadria. 25 июня 1919г. : первый полет цельнометаллического самолета F13 конструкции Гуго Юнкерса. Всего было построено 322 самолета. F 13 смело можно считать прародителем современных пассажирских и транспортных самолетов. Без преувеличения, именно F13 наряду с планерами Отто Лилиенталя и первым в мире реактивным He 178 является характерным символом германского вклада в мировую авиацию. EAST IS WEST: Joyriding is now very popular with Japanese girls. 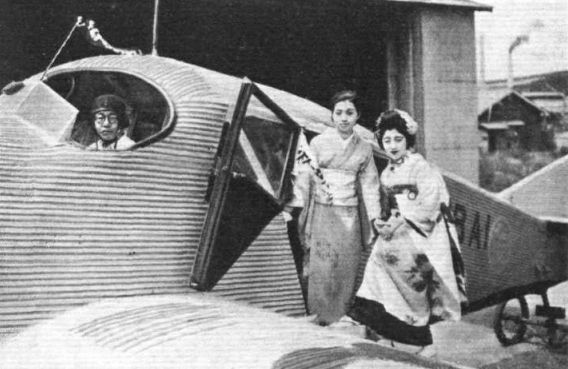 Here are two "Geishas" about to make a flight in a Junkers F.13 operated by Japan Air Transport Institution at Ohama, Sakai, near Osaka. Польский F 13 авиакомпании "Аэролот" (бывшая "Аэро Ллойд"). In June 1928 two Junkers F.13s and a single three-engined G.24 were delivered from Germany in Afghanistan. G.B.S. 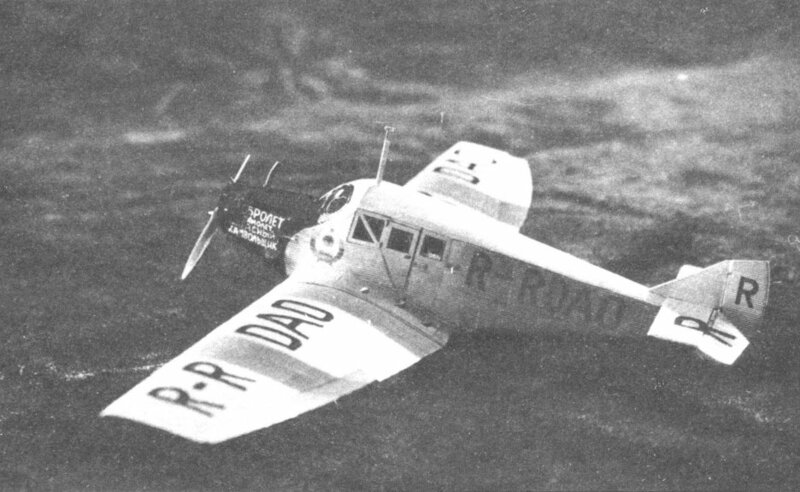 FLIES: As reported in "Flight" the other week, Mr. George Bernard Shaw made his first flight on Jan. 23, when he, and Mrs. Shaw, flew over Cape Town in a Junkers machine chartered from S.W. African Airways by Union Airways. Our photograph, which was received last Tuesday per first through Cape-England Air Mail, shows "G.B.S." ready to enter the machine. 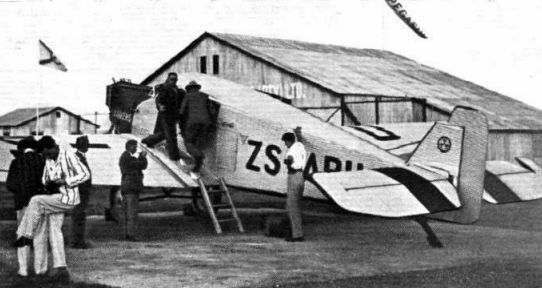 THE CONNECTING LINK: A Junkers machine of South West African Airways at Windhoek. 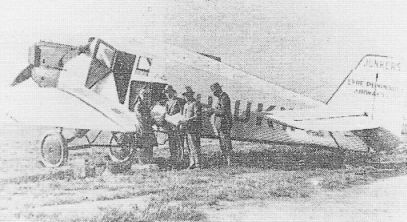 Connection is made with Imperial Airways at Kimberley. 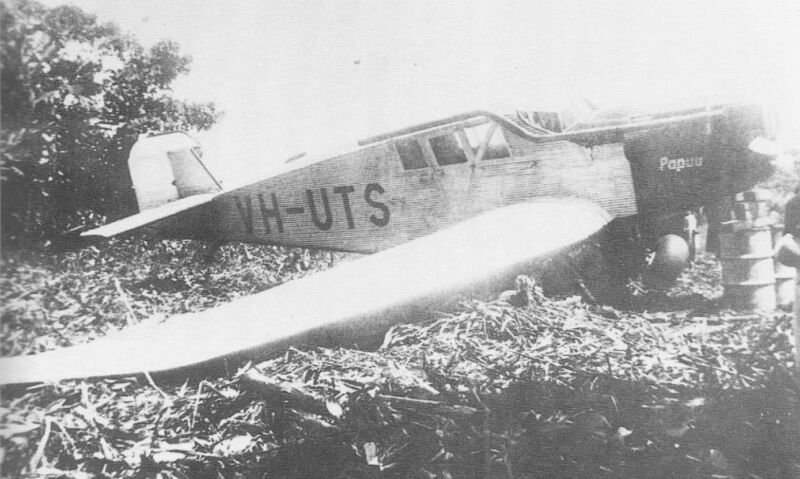 F.13 VH-UKW still in Eyre Peninsular Airways titling but in Western Australia and preparing for a take-off to Wiluna. 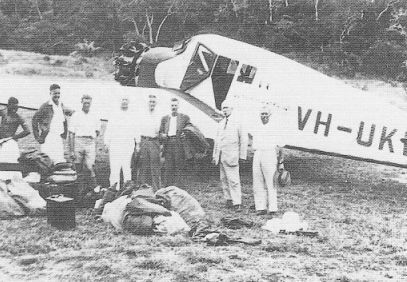 VH-UKW in service with New Guinea Airways after it had been re-engined with a Bristol Jupiter. The gear in the foreground suggests that the men are part of a survey party. 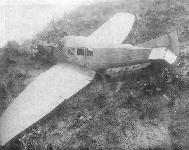 Neuendettelsau Mission’s F.13 VH-UTS after one of its minor accidents. F 13 эксплуатировался с шасси разного типа - колесным, лыжным, поплавковым. Возможность быстрой замены шасси с одного типа на другой оказалась очень востребованной, особенно в Южной Америке, где F 13 применялись в больших масштабах. 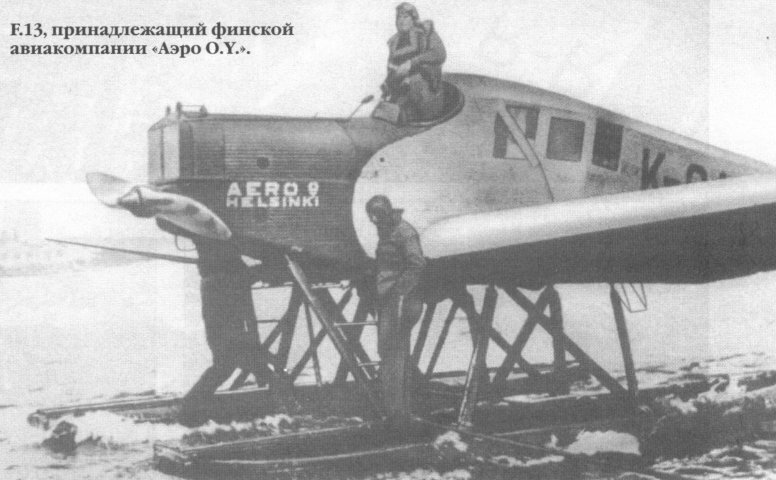 Этот "Юнкерс" F.13 (рег. 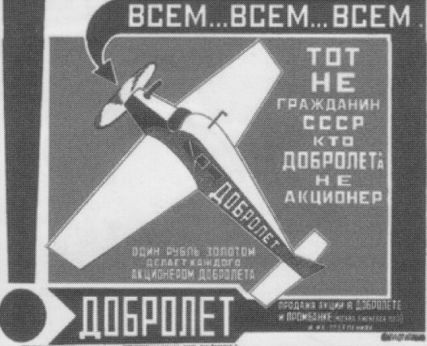 R-RDAE, борт "Промбанк") был получен авиакомпанией "Добролет" 15 июля 1923г. из Германии (бывш. рег. D-268, сер. N 656). После этого он в августе-сентябре того же года использовался на авиалинии Москва - Нижний Новгород, обслуживая Первую Общесоюзную агротехническую ярмарку. Пилотом самолета в этот период был летчик-испытатель фирмы "Юнкерс" Герман Крейсснер. 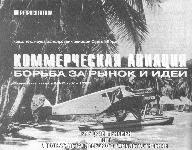 F.13, принадлежащий финской авиакомпании "Аэро O.Y.". AIR MAIL SERVICES IN COLOMBIA: In our issue for October 23 we published a report on the successful air mail services operated in Colombia by the "Scadta." 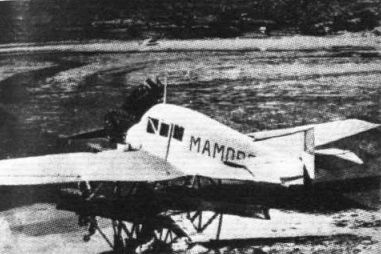 We reproduce photograph showing one of the Junkers seaplanes, which are employed on portions of the service, starting from the Magdalena river for Bogota. Восемь F13 под обозначением Junkers-Larsen JL6 были проданы в США в преддверии начала серийного производства в "Larsen Corporation". Ни один из самолетов не был собран в США, но все восемь закупленных использовались Почтовой службой США на линиях Нью-Йорк - Омаха и Нью-Йорк - Сан-Франциско. Изображенный на снимке самолет принадлежит авиации ВМС США. Полеты пассажирского гидросамолета Юнкерс J-13 в Петропавловске-Камчатском перед отправлением на о.Врангеля на пароходе "Ставрополь", 25-26 июля 1926г. 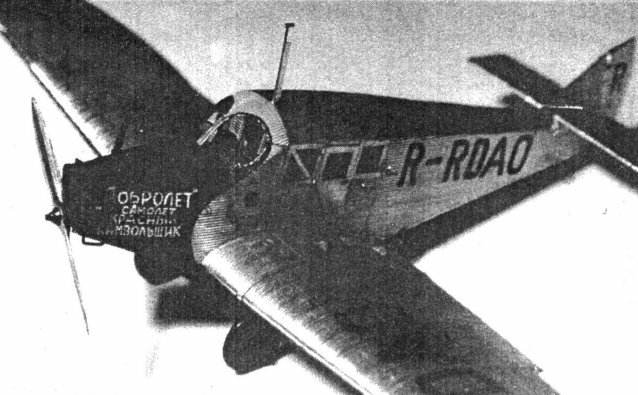 A Flying "Pigeon Loft'': This Junkers monoplane has been converted by a Belgian company for carrying pigeons, the Belgians being fond of pigeon races. 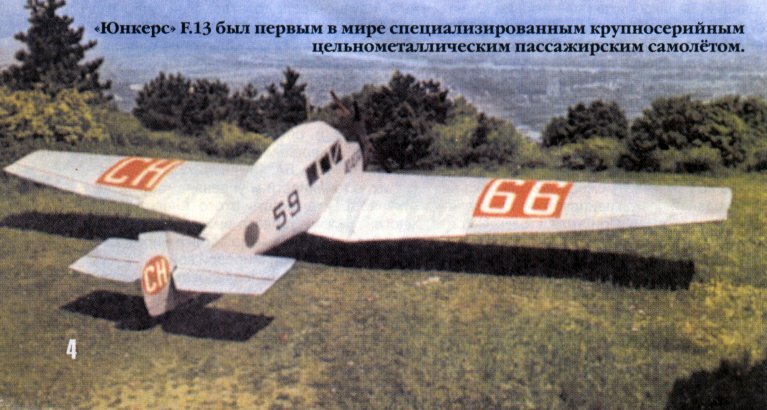 Силовая конструкция фюзеляжа "Юнкерса" J.13. The Junkers Monoplane: This photograph, a slide of which was shown at Professor Junkers' lecture, illustrates the wing construction. Note how bracing strips are merely riveted to sides of tube. 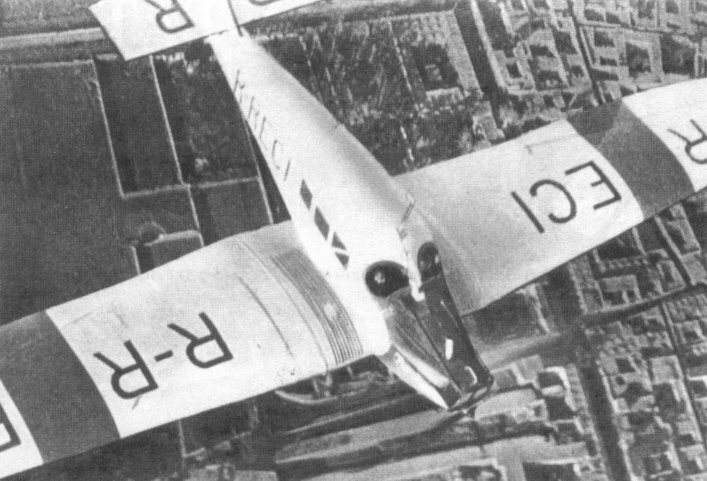 THE "J.L.-12" ALL-METAL ATTACK MONOPLANE: Three-quarter front view. 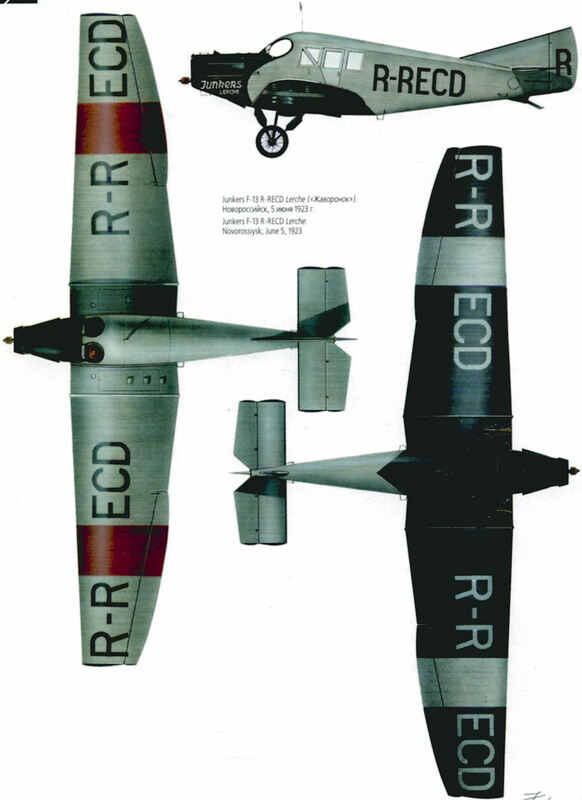 THE "J.L.-12" ALL-METAL ATTACK MONOPLANE: Three detail views. 1. 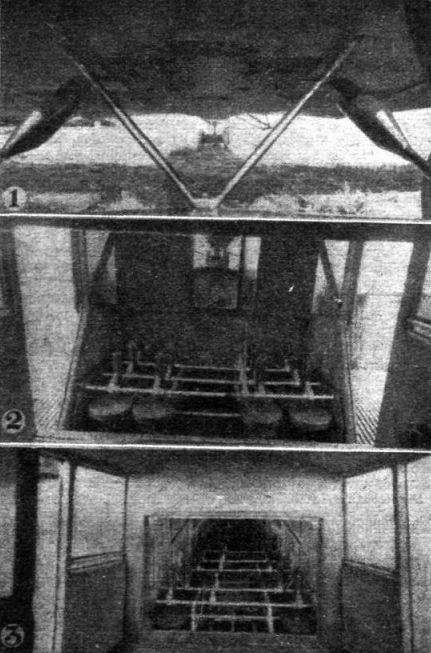 Looking aft below fuselage, showing gun-posts. 2. Interior view looking forward, showing a battery of 12 guns. 3. Interior view looking aft, showing the rear battery. Авария самолета "Юнкерс" Ju13 "Правда" на китайском аэродроме Миао-Тань. Авария военного Ю-13, летчик Захаров, 1925г. Ю-13 доставлен на ремонт в мастерские в Ташкенте после неудачной посадки, 1932г. Авария F.13 одной из прибалтийских авиакомпаний в Гельсингфорсе (Хельсинки) 10 марта 1926г. "Юнкерс" F.13 по праву считался прочным самолетом, сохранявшим жизни своих пилотов и пассажиров в абсолютном большинстве вынужденных посадок. На представленной фотографии запечатлет борт R-RODB (сер. N 692) "Красный артельщик", потерпевший катастрофу 16 февраля 1925г. Позже машина была восстановлена и под регистрационным обозначением R-RDAT работала на воздушных линиях авиакомпании "Добролет". Пассажирский самолет Junkers F-13 "Красный камвольщик" авиакомпании "Добролет". Начало 20-х годов. 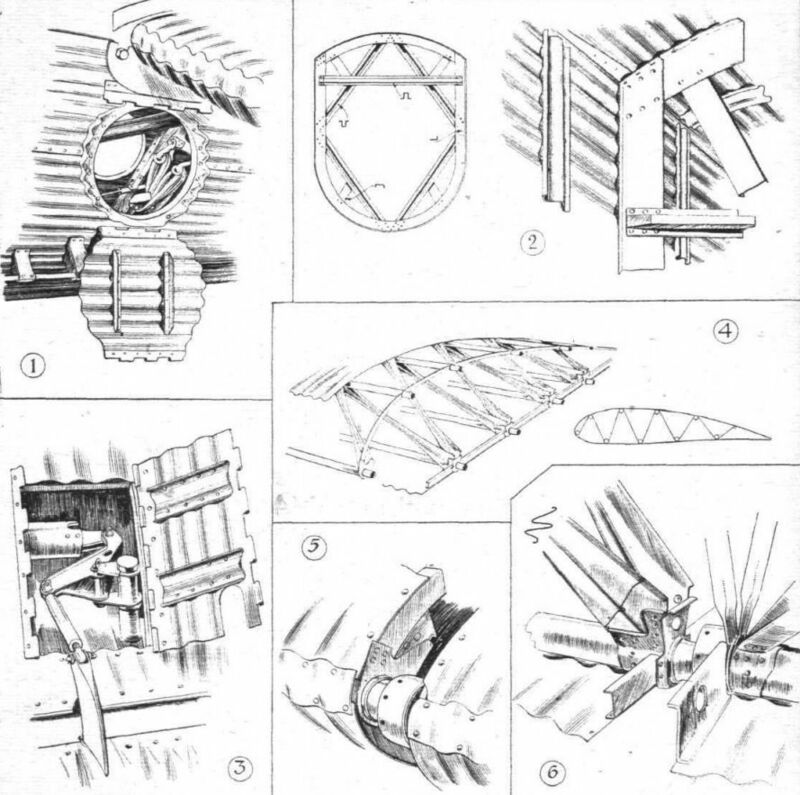 THE Junkers Monoplane: Some sketches of constructional details. 1 shows the inspection door in the side of the fuselage which gives access to the tail skid. The large tube runs to the elevator crank. The trimming tank is just in front of the door, inside the body. 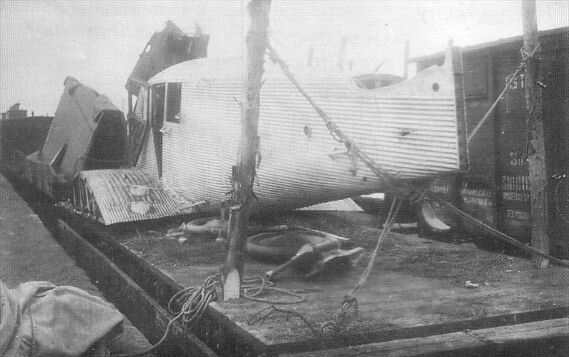 2, details of the fuselage construction. No longerons are used, the corrugations of the covering taking the place of separate longitudinal members. 3 shows the aileron tube-and-crank control which takes the place of cables. 4 is a general view of the wing construction. The small inset is a diagram of the wing section, showing approximate location of spars and bracing strips. 5, the union joint in the front spar. 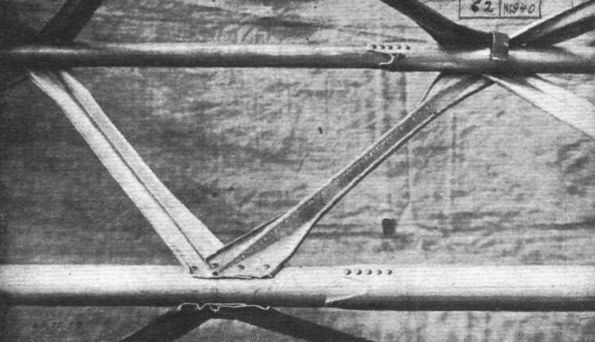 6, a typical joint between wing root spars and the spars of the end pieces. In the wing roots the bracing members are tubular, whereas in the end pieces the spars only are tubular, the bracing members being made from strip metal, crinkled as indicated in the two sections.